The awards were announced yesterday. Here are the books that received my awards. Follow this link to see what the other judges choose. https://sfrgalaxyawards.blogspot.com or https://mixedbookbag.blogspot.com/2019/01/2018-sfr-galaxy-awards-complete-list.html There are books that received several awards. 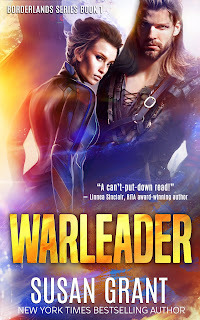 One of my choices, Warleader by Susan Grant, received a similar award from another judge. A lonely woman. An exiled alien prince. Can two different individuals find a way to be together to save the galaxy from a malicious plot threatening to tear it apart? 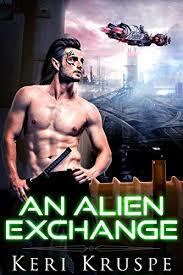 Aimee Gwiazdowski has a passion for Alien Abduction romance stories. She vicariously lives through the heroines of her books to escape her lonely, loveless life. Until one morning, she wakes up in a strange, white room where an alluring voice invites her to the “Exchange” to find love and adventure in another world. Did she dare believe it? Could she leave everything behind and take a chance to become one of those heroines who finds true love among the stars? 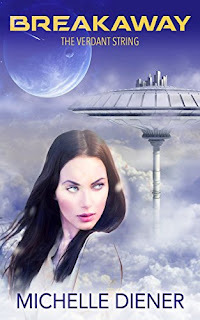 Exiled Prince Qayyum E’etu and commander of the space vessel StarChance has a mission—transport the human women to the Exchange along with an offer he can’t refuse: find evidence against rumored human trafficking connected with the Exchange. If he can successfully bring the traitors back to Zerin for justice, it would give him a chance to return home. How was he supposed to know that meeting a human woman would put everything he was working for in jeopardy? As unforeseen evil slowly brews discord within the galaxy, it works to tear Aimee and Qay further apart. If they don’t learn to overcome their fears and trust the love they have for each other, the coming cataclysm will devastate not only Zerin, but Earth as well. Sofie lives in the shadow of Felicitos--the tethered way station built to funnel Garmen's mineral wealth off-planet. Because Garmen is a breakaway planet, not part of the Verdant String Coalition, the companies that control it are free to run things as they see fit, and Sofie is part of the resistance that wants to end their rule. What she really wants, though, is to get away from Garmen altogether, and leave the drudgery and violence behind her. But when she meets Leo Gaudier, a shadowy crime lord who she admires for his ability to cheat the companies that own Garmen, her goals become less clear--and when she stumbles on a terrible new direction the companies are taking, she struggles with whether she should stay and fight, or take her chance to escape. Leo is all too aware he doesn't know enough about Sofie, something his own security detail is not slow to point out, but he can't keep away. When Sofie reveals her links to the resistance, and shows him those in control of Garmen have begun swimming in dangerous waters, he realizes his plan to overthrown them in a careful operation of a thousand cuts is no longer workable. The time has come for a single, lethal strike--and that will not be without consequences. Galactic Rules of Engagement: #1: Enemies must not become lovers. Welcome to the Borderlands, where rules are meant to be broken . . .
Admiral Brit Bandar is the Coalition's greatest starship commander. The outlaw known as the Scourge of the Borderlands taunted her in a galactic game of cat and mouse for years, but she never caught him. Now they're supposed to make peace and serve together on the same starship? Not so easy to do when your sworn enemy turns out to be the hottest piece you've ever seen.